Ever since while in high school, Matthew has been hooked on vigorously exploring ways to improve health, fitness and performance through exercise and diet. This passion propelled him through college, earning him a Bachelor of Science in Exercise Physiology from SUNY Brockport College in upstate NY. After receiving his degree, Matthew became certified through the American College of Sports Medicine (ACSM) as a health and fitness instructor and also a Certified Strength and Conditioning Specialist (CSCS) through the National Strength and Conditioning Association (NSCA). His tireless training and thirst for knowledge continues as he spent time working with several world renowned leaders in the field of health & fitness education such as: Charles Poliquin, Christian Thibaudeau, Dr. James LaValle, and many more. Coupled with these degrees and certifications, Matthew holds over 20 years of hands on experience helping others achieve their full genetic potential. He has spent time working with all types of clients – ranging from post-op/physical therapy, special needs, to elite/Olympic level athletes. His training style seeks to bridge the gap between exercise science and nutrition and its real world application. Matthew grew up near Buffalo, NY, spent time in San Diego, CA and is now proud to call Chapel Hill, NC his home. 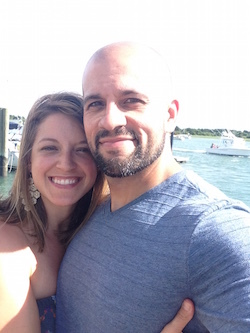 When not training clients to achieve their best, you can find Matthew preparing for his next Strongman competition, training the fighting discipline Krav Maga, or at home with his wife, Alyssa, and their twin girls.